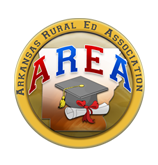 Summer Conference is moving back to Eureka Springs this summer. It will be July 8-10 at the Inn of the Ozarks. The number to call for room reservations is 479-253-9768. The Golf Tournament sponsored by American Fidelity and American Bus Sales is Monday, July 8. Contact George Foshee at kfoshee@cablelynx.com or 501-622-7431 to register for the tournament.